Ampacet, a global masterbatch leader, has introduced FauxFoilTM masterbatches, an innovative technology for moulded thermoplastics that offers a total lower cost alternative to metallisation and coating processes and mimics the gloss and shine of metal in a single step. With just one step, Ampacet’s FauxFoil enhances the aesthetics and visual appeal of plastic products, delivering a rich metallic look while lowering costs. FauxFoil masterbatches eliminate the time and logistical requirements of vacuum metallisation and coating/painting as well as the need for expensive compounds that take up valuable warehouse space. Compatible with conventional moulding processes, FauxFoil masterbatches do not require a machine or mould change; moulded-in colour can be achieved with this uniquely-formulated special effects technology. When compared to other methods of achieving a metallic look, such as painted finishes, FauxFoil masterbatches resist scratching and peeling, do not require another production or decoration step and feature a very low (1%) LDR. FauxFoil masterbatches are also a lower cost option compared to the use of colour compounds commonly used in durable goods. Designed for a wide range of polymers, including HDPE, PP, PET, PC, ABS and PS, Ampacet’s FauxFoil provides moulded-in metallic effects for PET (injection stretch blow moulded) bottles, extrusion blow-moulded bottles, sheet and thermoforming processes and injection-moulded components. 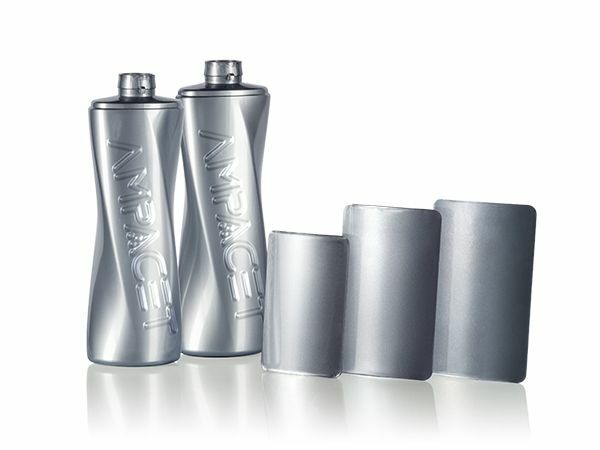 It is ideal for use in rigid structures such as energy drink bottles, caps and closures for bottles and jars, automotive aftermarket products, dinnerware, cosmetic and personal care products, consumer electronics, small appliances and any durable and nondurable goods where a premium metal-like appearance is desired. For more information, please visit us at Packaging Innovations show, Birmingham (27th-28th of February, booth K31) or contact us at marketing.europe@ampacet.com.